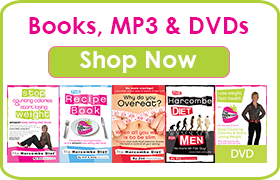 The Harcombe Diet® by Zoe Harcombe | How did The Harcombe Diet come about? 3) My determination to answer the question Why do you overeat, when all you want is to be slim?, which became the title of my first book published in 2004 and substantially revised for the 2013 edition. I have huge faith in people and our ability to achieve what we want to. I don’t think that we are (generally) greedy, weak-willed, lazy, or all the other horrible labels that are given to overweight people. I believe that, if someone wants to be slim, more than they want anything else, nothing would logically stand in the way of that goal. This was my own experience, as I sat in my college room at Cambridge University, stuffing my face with food. I’m a bright girl, I thought. I am not enjoying this binge. I hate the fact that it is ruining my diet and it is going to make me fat. Why, on earth, am I doing this? Also – how come I never binge on salmon and stir-fry vegetables? What is the unique attraction of confectionery, biscuits, cakes, bread and crisps?! I came to the conclusion that, for someone to not be able to stick to a diet, when they want so much to be able to stick to it, there must be something else going on. There must be something wrecking our willpower, causing these addict-like cravings, otherwise we would stick to the diet and achieve our dreams. What on earth could it be? 1) First of all, the diet advice we have been given is fundamentally wrong. I am absolutely convinced that telling people to “eat less, do more” is the cause of the obesity problem, not the cure. Stop Counting Calories & Start Losing Weight explains exactly what happens, directly and indirectly, when we try to eat less and how our bodies work against us to keep us alive and sabotage any attempts to lose weight. 2) The second huge discovery was that there are three medical conditions, which cause insatiable food cravings: Candida; Food Intolerance and Hypoglycaemia. These three conditions are extremely common – you probably suffer from at least one of them, if not all three. If you do suffer from any of them, they each cause food cravings in their own destructive way and you will have little chance of sticking to a diet until you overcome them. 3) The final shock discovery was that, if you have ever counted calories, or tried to eat less, you have substantially increased your chance of having one, or more of these conditions. That means – your previous attempts to diet have almost certainly given you the three medical conditions that will turn you into a food addict! So – go on a low calorie/low fat/eat less kind of diet and your body will do everything it can to wreck your diet and you will be highly likely to develop three medical conditions that will give you addict-like cravings to further wreck your diet. No wonder the more I tried to starve the more I ended up bingeing! Should be fine, as long as you work with your GP to monitor your bloods to manage your meds. Hi, 3 months ago I was shocked to get a reading of 47 for the HBC1a blood test after following NHS guidance of low fat, high carb for several years. I now know this is very bad advice! I recently attended the new NHS course and discovered the ‘carbs problem’. 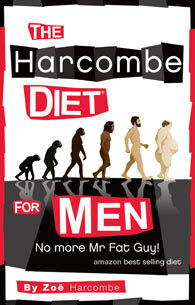 I think the Harcombe diet could be suitable for me to follow to keep my carbs real low. I am not really overweight (5ft2″ – 8s11 and aged 62) so which phase should I start? and should I just eat ‘fat meals’? thank you for your help. Ph1 is always the best place to start. If you’re under GP care, be sure to let them know that you’re starting a real food diet. The ‘what you can eat’ cards can be helpful. email me with your address if you’d like me to send some through to you. Please can I have those cards too? Hi there. I brought Zoe’s book and could really identify with so much of what was written. I started, did 2 days but really noticed a decrease in my milk production. I’m still feeding my 14 month old and don’t really want to stop yet! Is the diet ok for breastfeeding mums? Would you recommend this particular diet for someone that is bulimic? What would be the pros and cons of someone with an eating disorder trying to eat this way? If you drop me a note to our clubadmin email with your address, I’ll pop something in the post for you. Can i have sweet potatoes in phase 1? Afraid not. No pots on Ph1. I have a client who has lost 4 stone in weight with me and this diet, we have lowered his BP to normal levels. He has been randomly called up to have a medical (lorry driver) mid 4 yrs. All hell has let lose because he is showing ketones in his urine, his sugar levels are normal range . He’s being sent for further test to the hospital and is dead worried he may lose his licence. Metabolic ketones are not a problem, are they ? Hi I have started today. I am 95 kg and 1.8m, male and 56. I went vegan last year in an attempt to lose weight and put weight on, also increased cholesterol and increased uric acid. So here we go. I see the science behind this and wall trust the process and stick to the program. question thouh….if I slip up in phase 1, like find a Mars Bar sticking out of my mouth, or half way through a glass of wine, do I have to start the whole 5 days again……? To get the most benefit, you would need to go a (minimum) straight 5-days on Phase 1. While wine will be ok later on, A Mars bar would never be. I think nutrient wise, the statement is correct, but for an average everyday person, I do not think a candy bar once in awhile can do harm. It is shown that when one restricts for so long that they are more prone to going back to it because they are denying themselves a few simple pleasures. Are you allowed nuts in phase 1? I was introduced to The Obesity Epidemic book around 5 years ago. Since then the whole of the diet issues and nutrition we should be eating has become clearer. I lost 3 stone, it has stayed off and although sometimes I put a bit more on, I know why and can address it. I am now a Nutritional Therapist as a result of this book and Zoe’s inspiration. Keep going all of you! Well Done! Thanks for the kind words, Ruth, and well done on your qualifications. I have been ‘dieting’ all my adult life. I am now 65, quite fit but constantly obsessed by trying to lose weight. I am impressed by this website and feel positive that this may break the diet/binge mentality that I have. Could I please find out more about the diet, as I am trying to lose weight but am on medication and have got stuck at 10 stone and seem to not able to shift any more. So how do I go about losing the weight I need too still lose to make me feel human again? Start with one of the books, Stop Counting Calories for example, and follow Phase1. Books explain all in detail. I loathe porridge and oats…what else for breakfast? Anything with eggs (fried, scrambled, boiled, omelette….) bacon, cold meats, NLY…. Just look at is as another meal. I know some who enjoy a curry. I am disabled and in a wheelchair and have put on a lot of weight and would love to lose some. I am 71 years old and wonder if your diet would work for me. I cannot exercise and do not eat a lot. Help! No need to excercise to lose weight, you just need to eat the right foods and not eat the wrong ones. 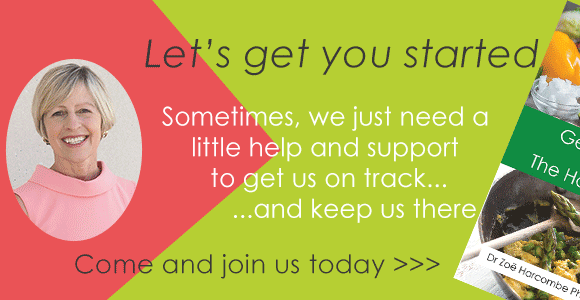 Come and give it a go. I hope this will work for me ..I’m just getting bigger and sick of every one saying how fat I’m getting and if I want to loose weight enough I will stick to it….I know all of this…..but I have absolutely no will power and I feel the years are slipping by and it will be too late to ever have felt happy in my body. There are detailed meal plans in the books. The plans make a lot more sense when you have the explanations behind them. Treat broadbeans as a pulse, so a carb in Phase 2.